Remember the infamous ‘Heidi Game’ in American football? Back on November 17, 1968, an American Football League (AFL) game between the New York Jets and Oakland Raiders was rudely cut on NBC during the fourth quarter in order to air the program ‘Heidi’ on time. The incident caused viewers to miss out on the game’s final minutes, which saw the Jets kick a field goal only to see Oakland win the game on two touchdowns. This incident led to the NFL requiring its television partners to air the games in its entirety. Unfortunately, one Filipino television network appears to ignore this rule. In 2014, TV5 gave NCAA fans no favors when it interrupted two of its live games in favor of news coverage. The first instance, Lyceum vs. Mapua, was cut short in favor of then-President Noynoy Aquino’s impromptu speech, while the second instance, EAC vs. Mapua, featured a bench-clearing brawl and was consequently cut in favor of ‘Aksyon Prime’. As a result, the NCAA decided not to re-sign with TV5 and chose ABS-CBN Sports as its broadcast partner instead. But this is not the last time The 5 Network became embroiled in such controversy. September’s NFL Kickoff Game between the Philadelphia Eagles and Atlanta Falcons was delayed by over an hour due to inclement weather. Consequently, T5N did another ‘Heidi’ and started ‘Aksyon sa Tanghali’ on time, although they still inserted the live feed of the NFL game during the Raffy Tulfo in Action segment. T5N also did the same thing Wednesday afternoon when they aired a U.S. NCAA men’s basketball game between Duke and Kentucky. While they still complied in both of these cases, the fact that they pushed through with ‘Aksyon sa Tanghali’ didn’t sit well with some viewers. Then again, neither the NFL nor the U.S. NCAA basketball were popular with Filipino sports fans. At this point, ESPN5 is questioning the viability of both sports, especially when the country’s pastimes now are local basketball, volleyball and to a lesser extent soccer. Also, there is a concern regarding T5N’s insistence on a noontime newscast at the expense of live sports. For all intents and purposes, ‘Aksyon sa Tanghali’ is now more of a ‘Wanted sa Radyo’ spinoff, with less emphasis on news and more on citizen complaints. If Chot Reyes were to be approached, he might as well convince Luchi Cruz-Valdes to cancel ‘Aksyon sa Tanghali’ and proceed with a taped-as-live TV revival of ‘Wanted’. Because who needs a noontime newscast anyway when the news gets thrown out the window. Either way the never-ending problems within T5N are once again prevalent. Let’s face it, with such an incompetent personnel it’s no wonder they have a disorganized schedule. Call it the ‘BasketBrawl in Bocaue’. The FIBA Asia qualifying game between the Philippines and Australia at the Philippine Arena Monday night was marred by a bench-clearing brawl. The following posts should summarize the series of events that took place. June Mar and Gabe fouled out, leaving Baser the only player remaining for Gilas. At the moment, FIBA is still taking a closer look at the incident, with the possibility of sanctions and suspensions to be announced in the coming days. Meanwhile, Basketball Australia and the Samahang Basketbol ng Pilipinas issued an official statement with regards to the brawl, while players expressed remorse on social media over their involvement. This incident became the talk of the sporting world for all the wrong reasons. And as expected many netizens on social media were not happy about a competitive basketball game turning into a wrestling match. The Philippines-Australia match was aired live on T5N last night and like all live sporting events on Philippine free TV it earned a Parental Guidance (PG) rating from the MTRCB. However, in subsequent rebroadcasts of the match on T5N and AksyonTV, MTRCB gave it a Strong Parental Guidance (SPG) rating for language and violence in light of the incident. Never before in Philippine television history has a non-combat sporting event earn an SPG rating due to circumstances beyond its control. While live sports is usually attended and watched to by people of all ages, such incidents are sometimes unavoidable and can also be traumatizing. Still, such untoward incidents would have been prevented had the referees lay down the law and play the peacemaker role between two sides. Unfortunately for the referees in Bocaue, it’s either they are not competent or strict enough to do their job. That said, this incident between the Philippines and Australia will forever live on in Philippine television infamy, both for its impact and its consequences in the game of basketball. It will be interesting to see what new narratives will come out of this, so stay tuned for further details. Redundancy has become a common theme for cable and digital channels in the Philippines. In the first half of 2018 alone, viewers witnessed a closure of numerous cable channels in the country. On the local side of the spectrum, there was Hero, TAG, ABS-CBN Regional Channel, CT and 2nd Avenue, and on the international front there was Toonami. There were also some rebrandings and resurrections of several channels as well. CPI made LIGA the second coming of Balls in time for the FIFA World Cup (replacing ARC, TAG and Hero in the process) while rebranding Lifestyle into Metro Channel, and then the MVP Group converted Bloomberg Philippines into One News. So why do these things happen to our beloved cable and digital channels? The most cited reason is financial constraints, but it goes deeper than that. When two channels air similar content with one another, redundancy happens. This is exactly the case that befell the likes of Hero, TAG, CT, 2nd Avenue and Toonami because they feature similar themes and genres with one or several channels. Hero and Toonami, for example, became victims of cord-cutters and other channels such as Cartoon Network, Boomerang, AniPlus, Animax and even Yey!, which show some anime and action series as well. Same with CT and 2nd Avenue who share some of the programming with sister channels Jack TV and ETC. Going further back, CPI shut down Velvet in 2014 and moved some of its content over to Lifestyle. Four years later, Lifestyle was rebranded into Metro Channel and is now essentially a second coming of Velvet. There is also LIGA, which was launched for the FIFA World Cup but is expected to face similar redundancy issues as Balls since its only other source of content are events that air on ABS-CBN S+A. Finally, the rebrand from Bloomberg Philippines to One News has made AksyonTV (a former news channel-turned-T5N clone) redundant, something the MVP Group must address moving forward. However, redundancy is not limited to cable channels alone. Yey!, for example, has a movie block called ‘Kid Sine’, but some of the films shown here are also aired on sister channel CineMo (under the CineFantasya and CineKomedya blocks). Yey! also airs reruns of ‘Your Face Sounds Familiar Kids’ while CineMo rebroadcasts ‘Ang Probinsyano’ and ‘Bagani’ on weekends. Such reruns should have been exclusive to Jeepney TV. These are just some of the examples that face cable and digital channels today. Considering the competitive nature of this business, trying to stay unique and distinct in terms of content is not as easy as it looks. So the best that these channels can do right now is to remain innovative and wide-eyed to the audience while keeping themselves afloat. This juggling act may be difficult, but when done properly, they can stay on the air for a long period of time. Next week will herald a new chapter for News5. On May 28, the news division of The 5 Network (T5N), along with The Philippine Star and BusinessWorld, will launch One News, a 24/7 English language news channel exclusive to Cignal. But before the fireworks take place, here is a look back at 5’s former news channel AksyonTV. 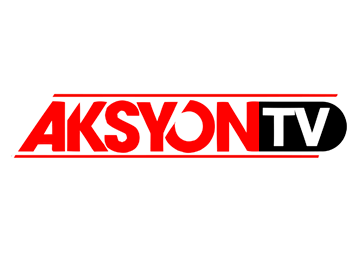 AksyonTV was launched on February 21, 2011, and was initially billed by 5 as the first 24/7 Filipino language news channel on free TV. During its first few years of operation, AksyonTV filled its programming lineup with simulcasts from Radyo5 92.3 News FM, as well as original programs exclusive to the network and other shows that also air on then-TV5. When AksyonTV was first launched the MVP Group was on a spending tear, pooling all their resources in hopes of making TV5 competitive and at par with long-time giants ABS-CBN and GMA. However, they failed to account the poor reach and infrastructure of the network, leading to financial losses and consequently, this next factor. In order to cut its losses, News5 elected to cancel original AksyonTV programs and focused more on 5’s newscasts and radio programs. However, News5 was soon hampered by the departure of numerous top talents and the downsizing of its staff, affecting not only AksyonTV but also 5 overall, leading to this next factor. The lack of any original news programming forced 5 to reformat AksyonTV into a complement channel of T5N, adding ESPN5 programs, entertainment shows and TV shopping to the menu. The change in AksyonTV’s content also led to the launch of Bloomberg Philippines, which eventually morphed into One News. Overall, AksyonTV was not a bad attempt by News5 in terms of operating a news channel. But had the network improved its reach and infrastructure, AksyonTV might have remained competitive and viable alongside the likes of GMA News TV, DZMM TeleRadyo, CNN Philippines and the ABS-CBN News Channel. Unfortunately, with the launch of One News next week, it is clear that AksyonTV has outlived its usefulness. One can only hope that 5 will do something about AksyonTV in the immediate future, whether it is rebranding the network or selling it to other broadcast outfits.